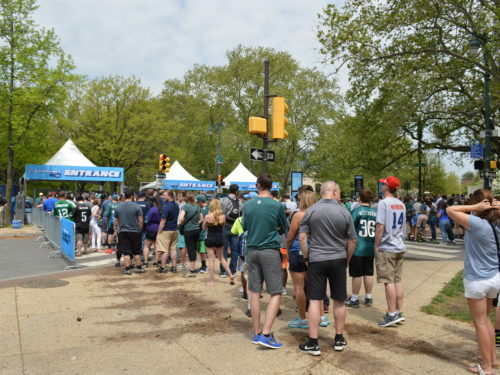 JMT provided traffic control and maintenance of traffic design as the City of Philadelphia hosted festivities associated with the three-day professional football draft. 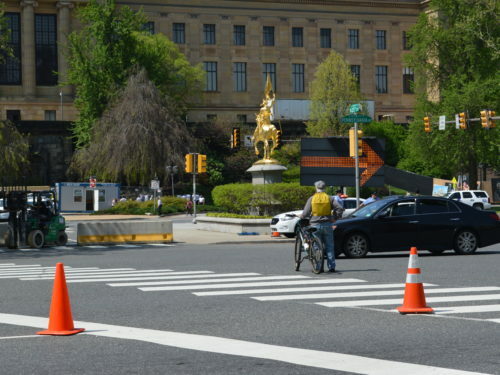 For a major city such as Philadelphia, event planning requires major traffic control — where vehicles may and may not go, how businesses will stay accessible to customers, and how pedestrians may travel safely. 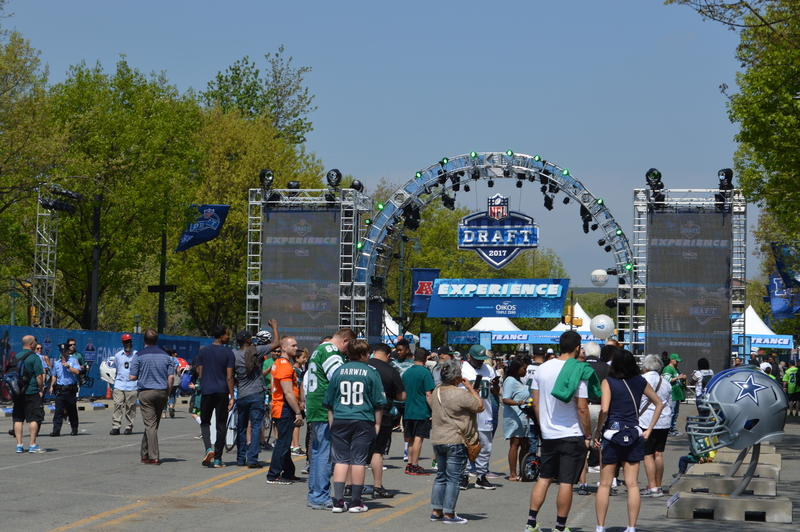 JMT helped the City of Philadelphia do just that, as it prepared for a nationally-televised, three-day professional football draft event. In April 2017, Philadelphia hosted an estimated 200,000 sports fans and their families, as well as representatives of the 32 professional football teams, college players anticipating being selected by one of the teams in its annual draft, and media members covering the event from across the country and around the world. 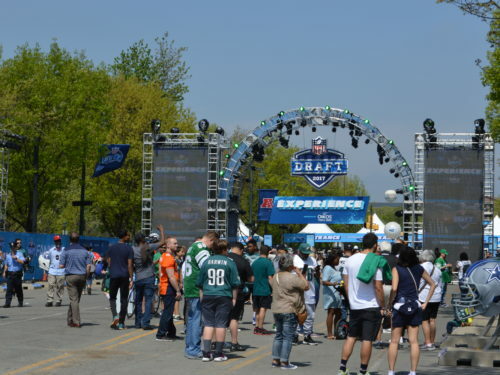 The draft, once held in a hotel conference room, has grown into a three-day event encouraging fans of every team to visit the host city and participate in festival-style activities across a 50-acre urban footprint. 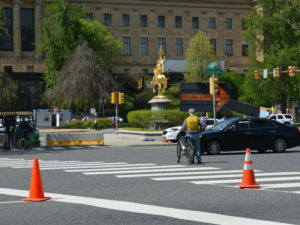 The showpiece for the televised portion of the event was a temporary theater erected at the Philadelphia Museum of Art, utilizing the “Rocky” steps (made famous by the boxer in the 1976 film). Accommodating the event organizers would require closures to thoroughfares such as the Benjamin Franklin Parkway including Eakins Oval, a busy section of Center City. 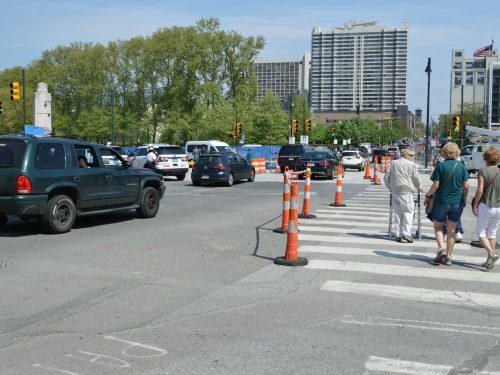 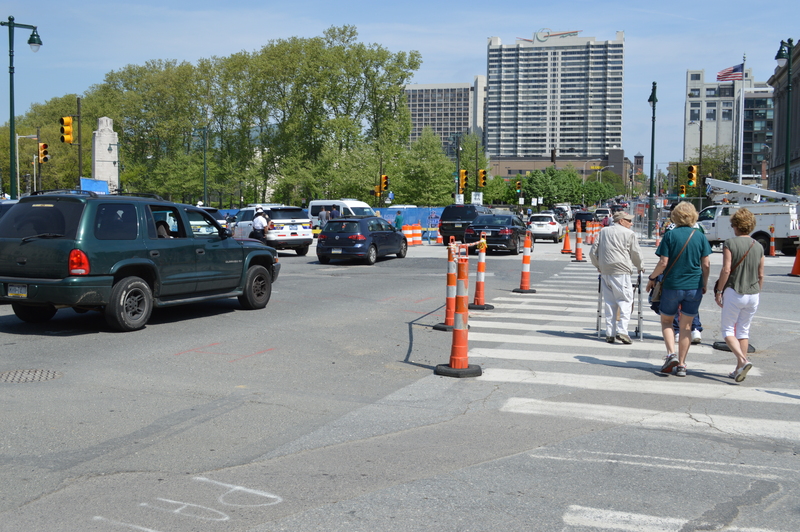 The City of Philadelphia Department of Streets engaged JMT’s traffic experts to determine which detour routes would best serve the needs of the event and how to implement needed closures while reducing impacts on local citizens and businesses. 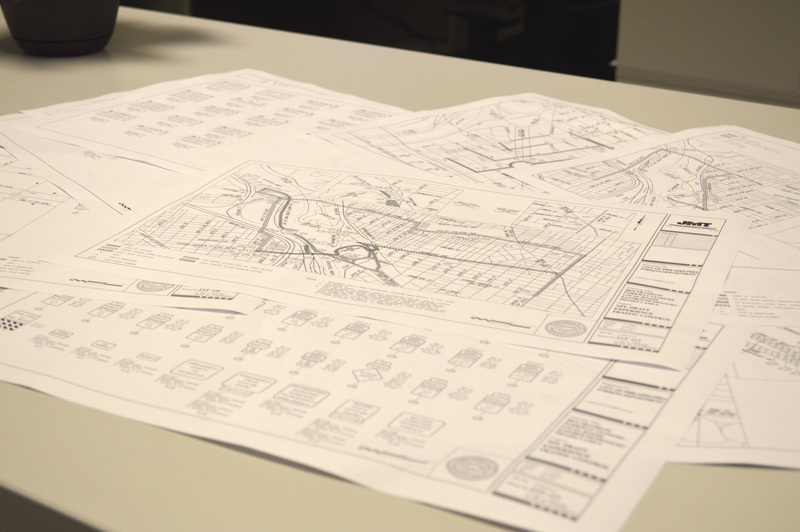 Our task was to reroute motorists around an area that typically supports 63,000 vehicles daily. 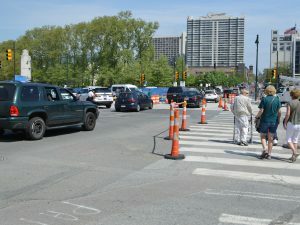 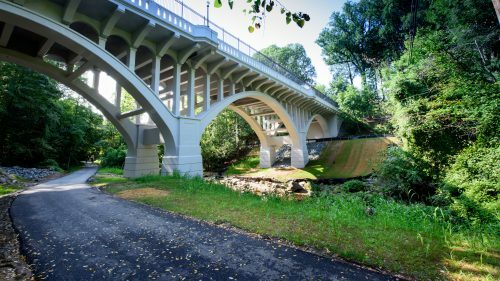 JMT traffic staff’s knowledge of the local road system and available crossings of the nearby Schuylkill River were essential in developing a comprehensive, four-phase maintenance of traffic strategy to minimize impacts. 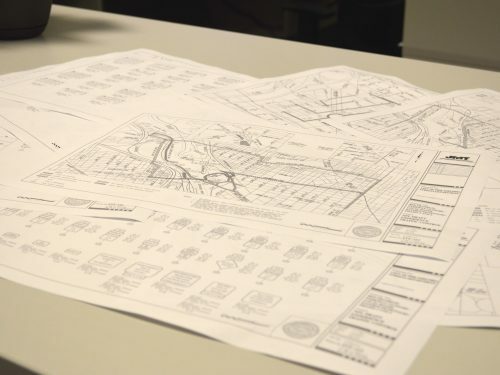 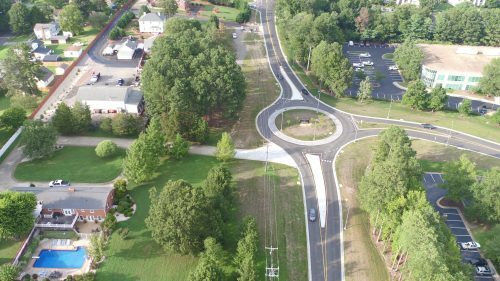 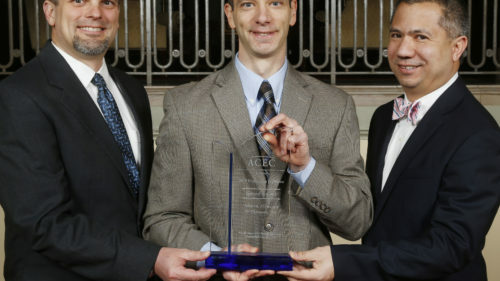 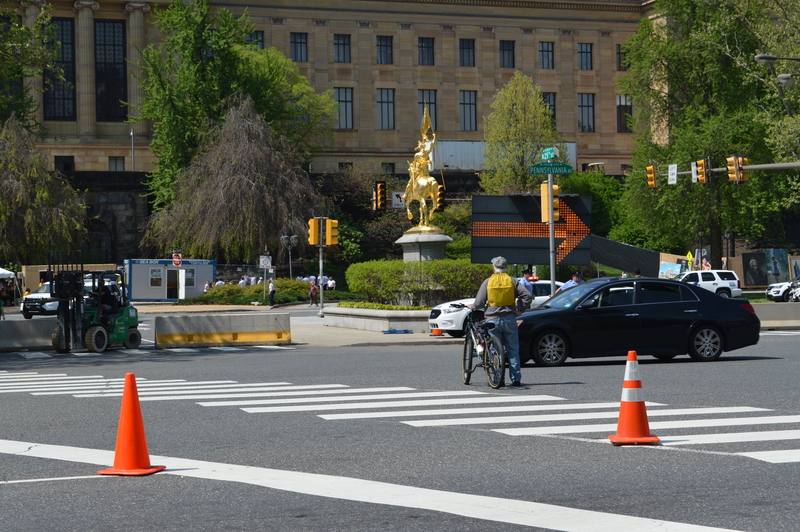 We followed Pennsylvania Department of Transportation (PennDOT) and Manual on Uniform Traffic Control Devices (MUTCD) standards in completing the traffic control plans. 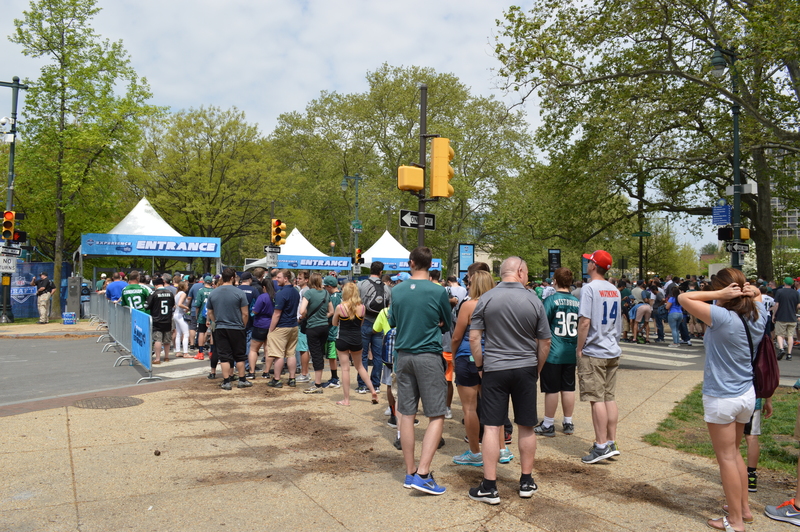 The grandeur of Philadelphia was on full display during the draft, while JMT’s traffic control designs assisted the City so that motorists and pedestrians could get through (and around) the area safely and efficiently.